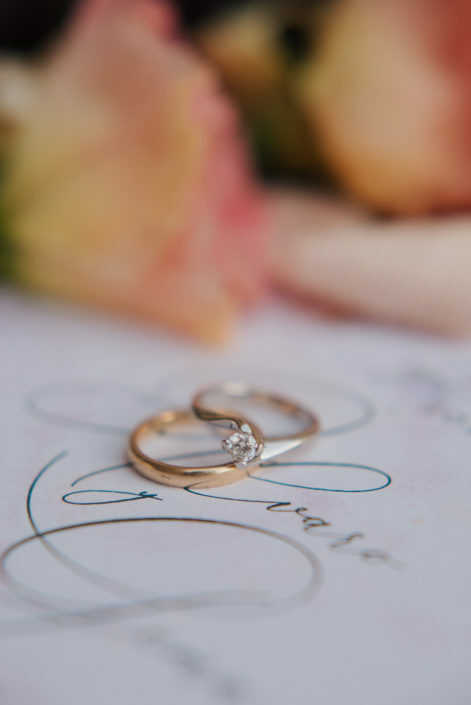 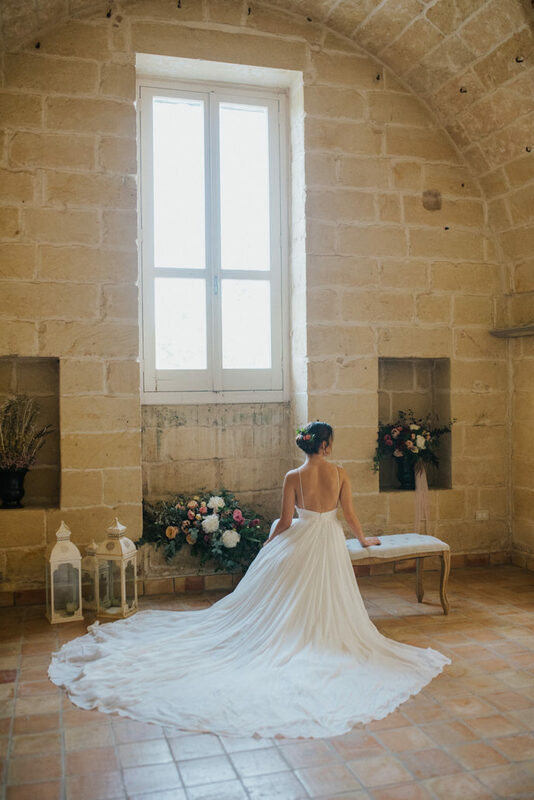 A dwelling dating back to 1500, the beauty of the stone that tells centuries of history, and an ethereal and sensual bride. 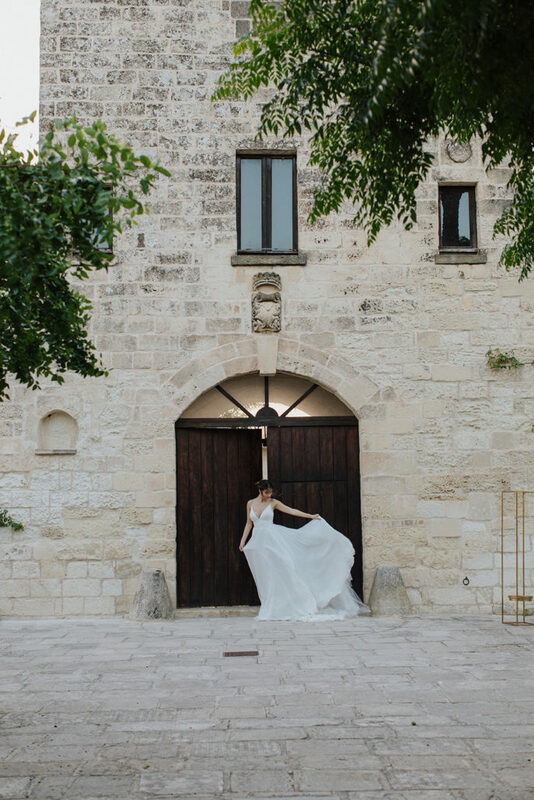 The Salento, land of sun and sea, tells through its architecture, flavours and colors, the history and culture that make this region unique. 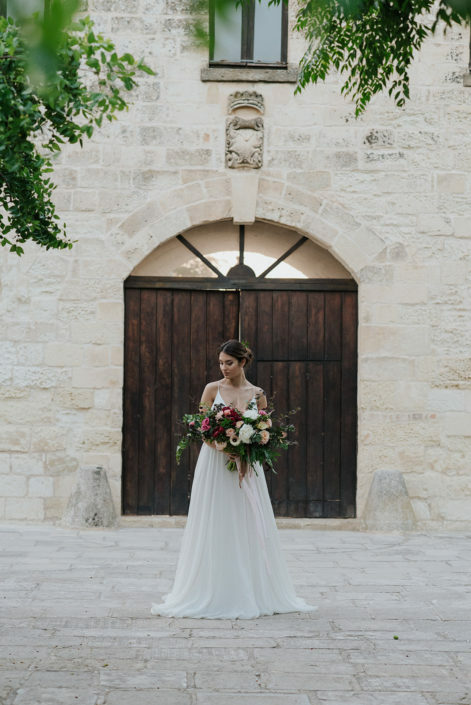 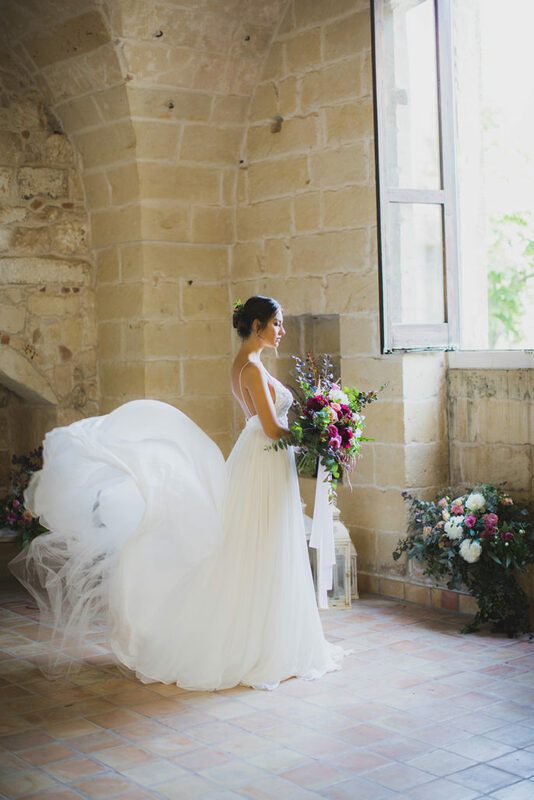 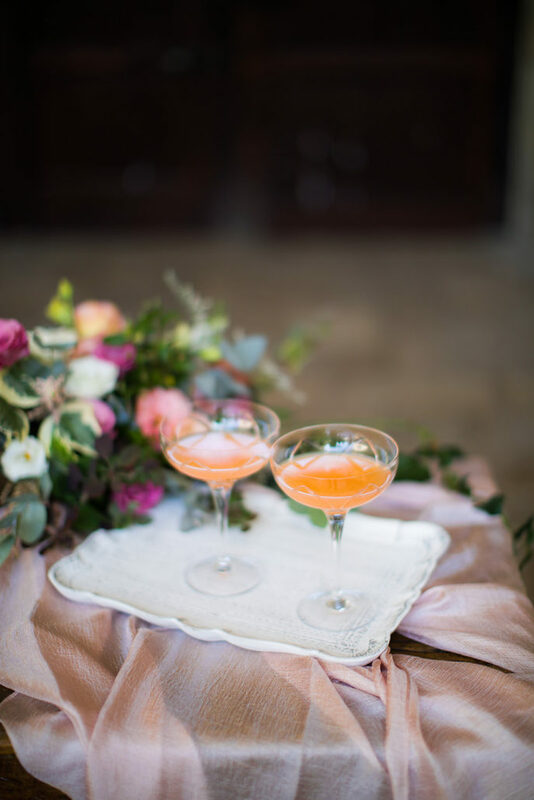 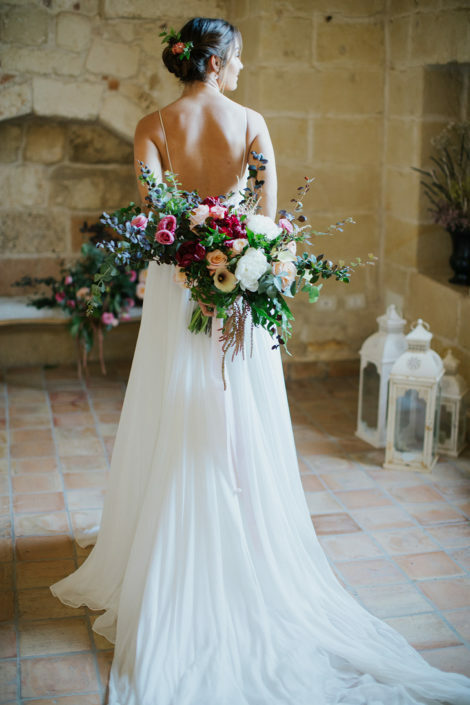 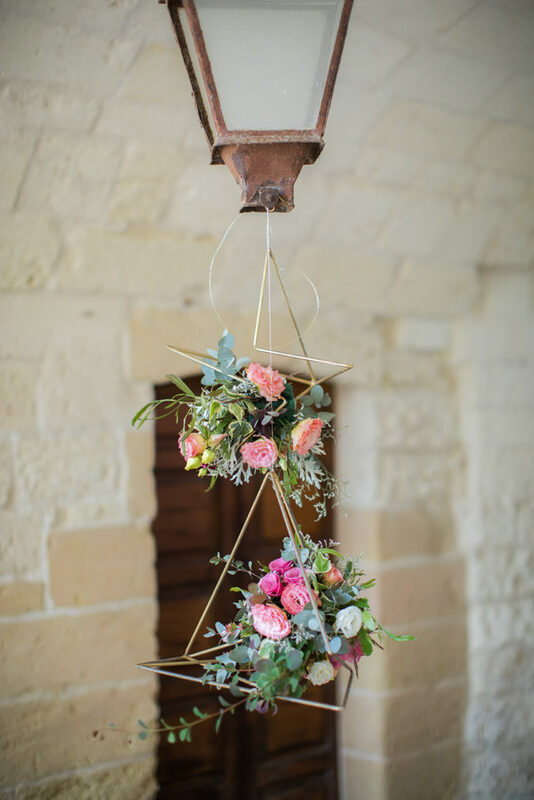 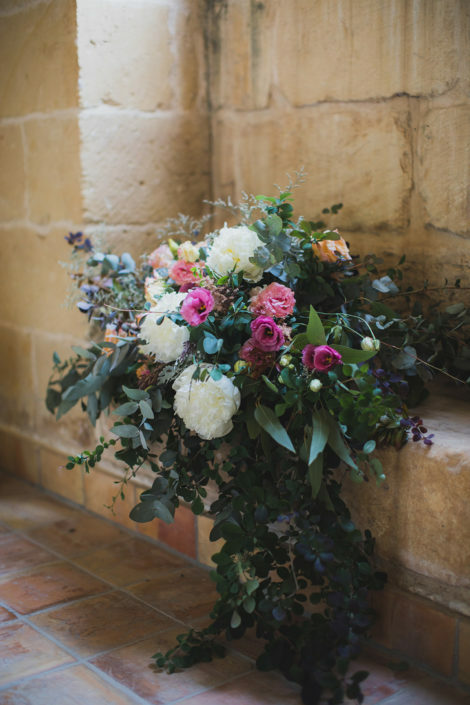 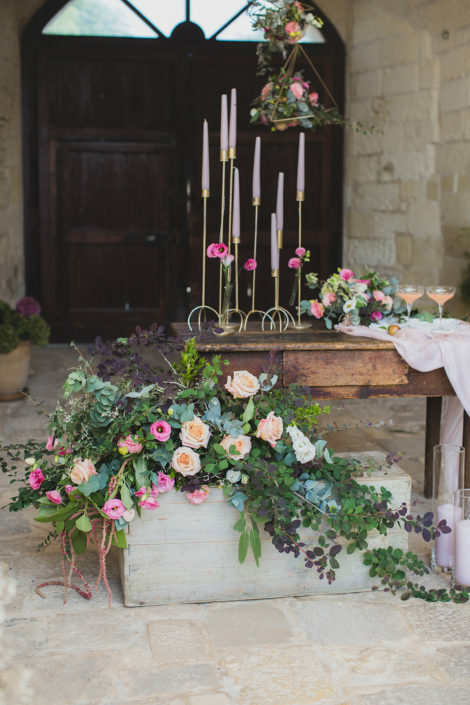 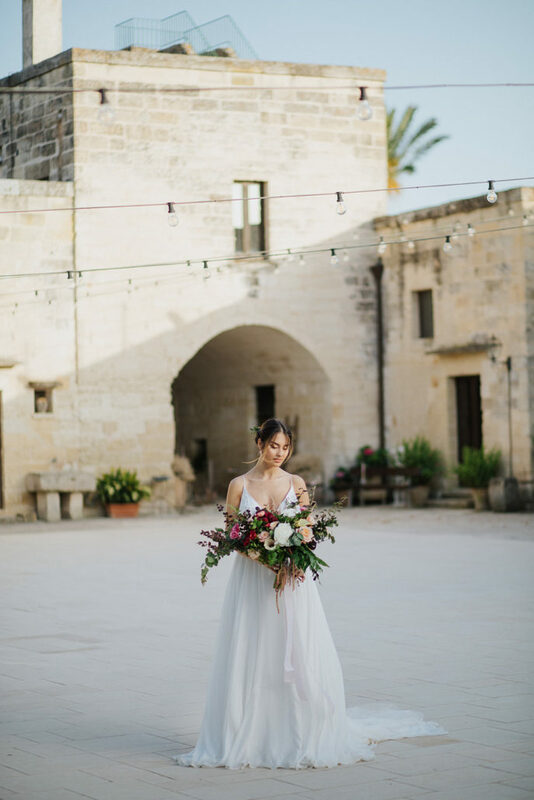 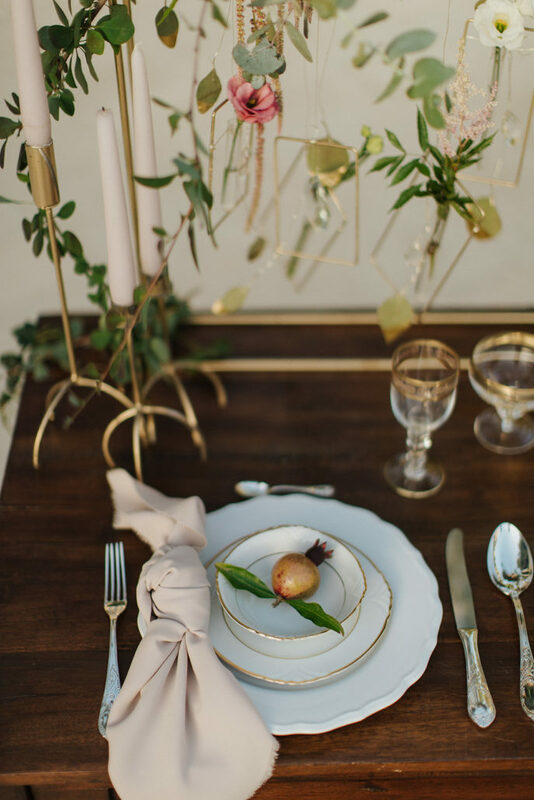 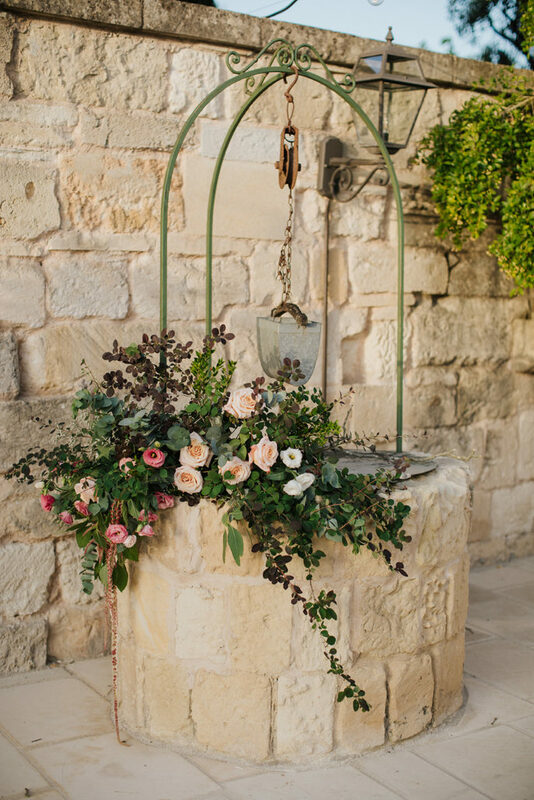 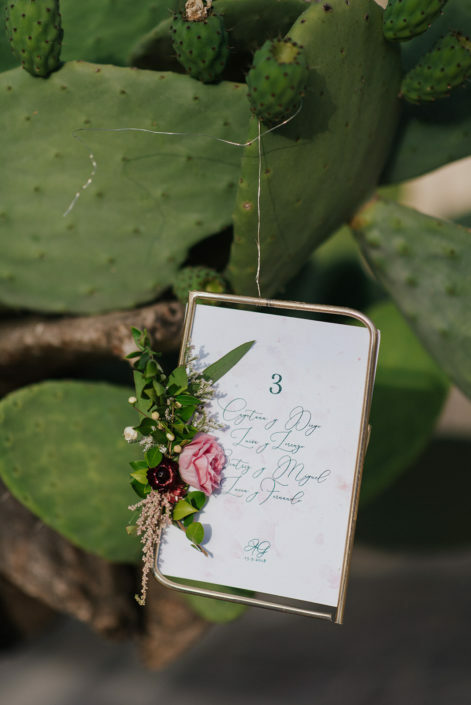 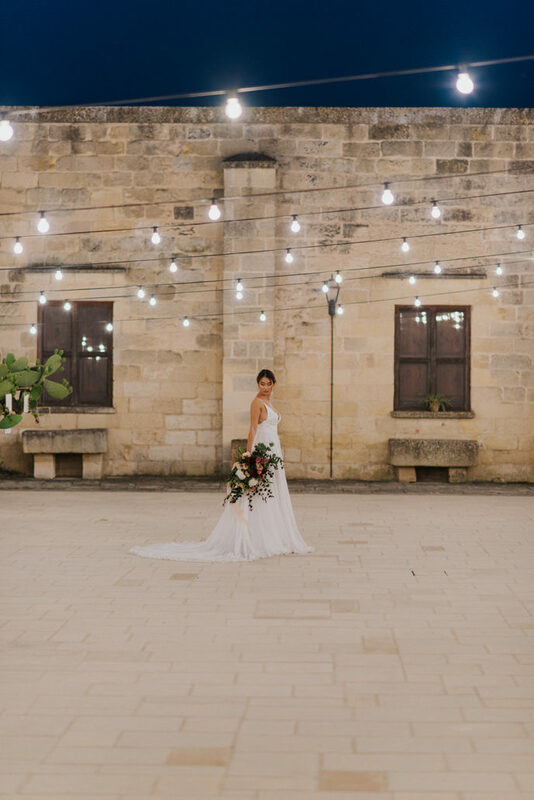 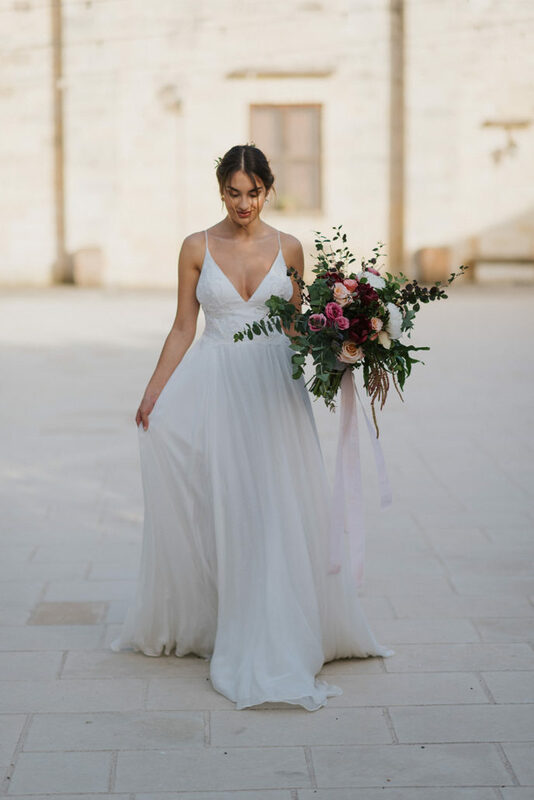 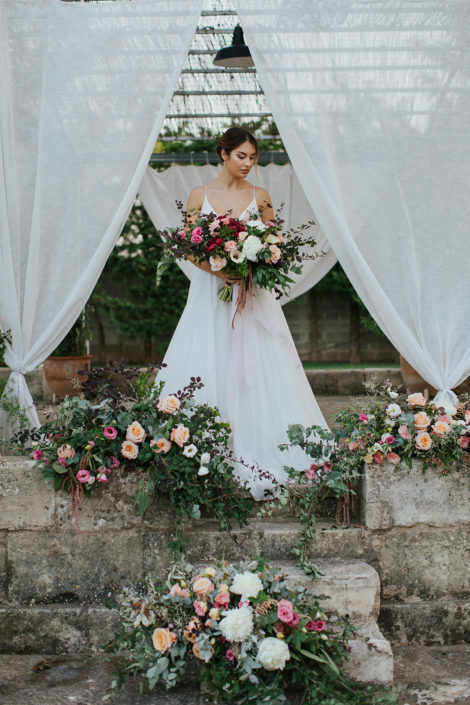 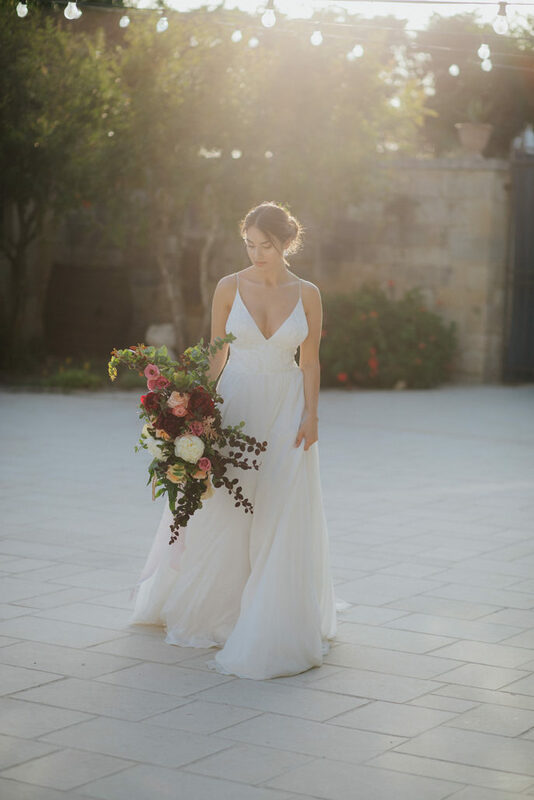 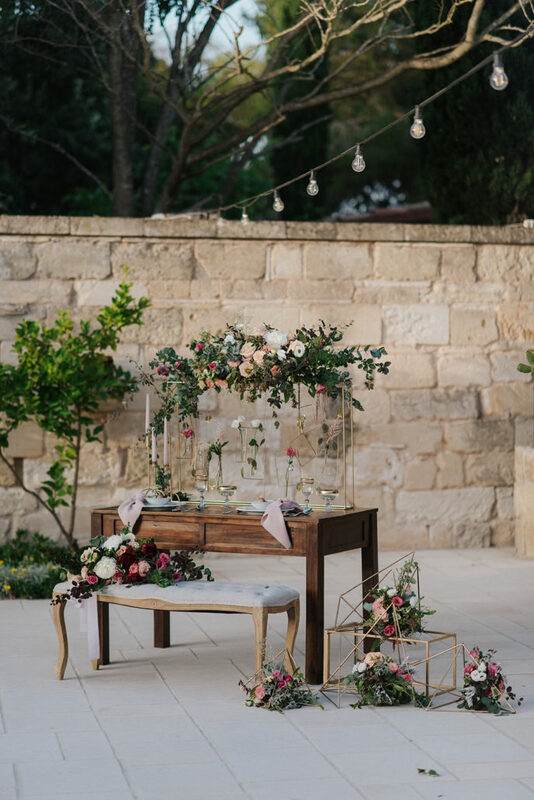 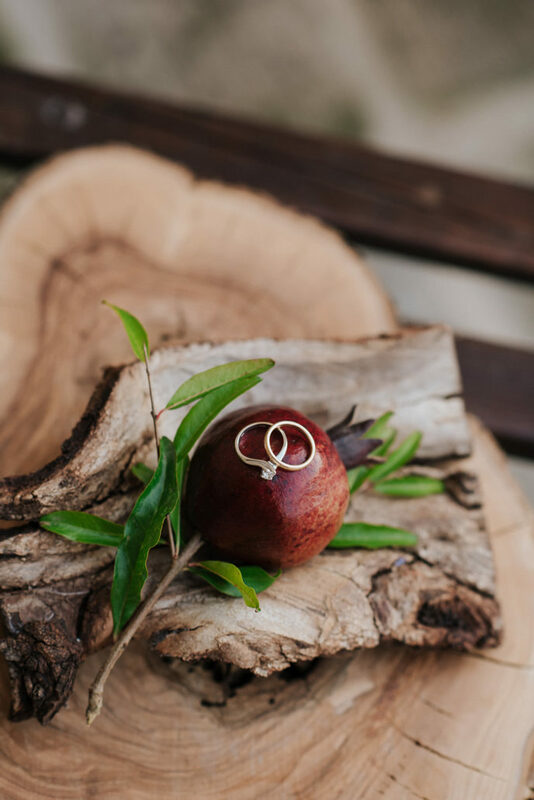 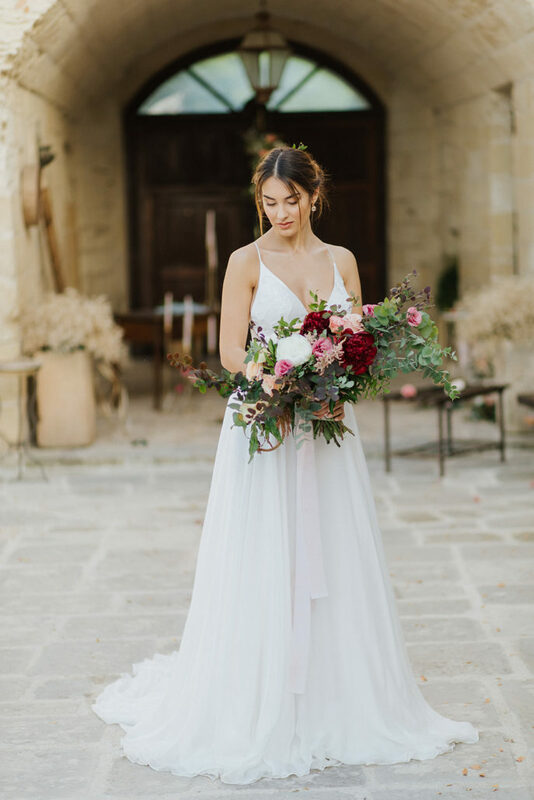 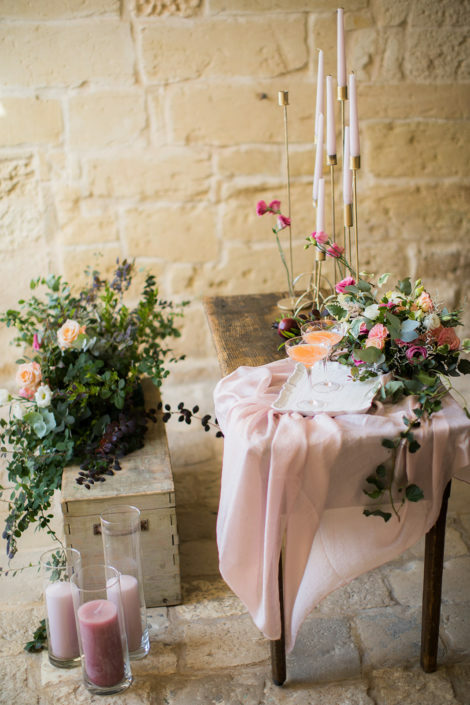 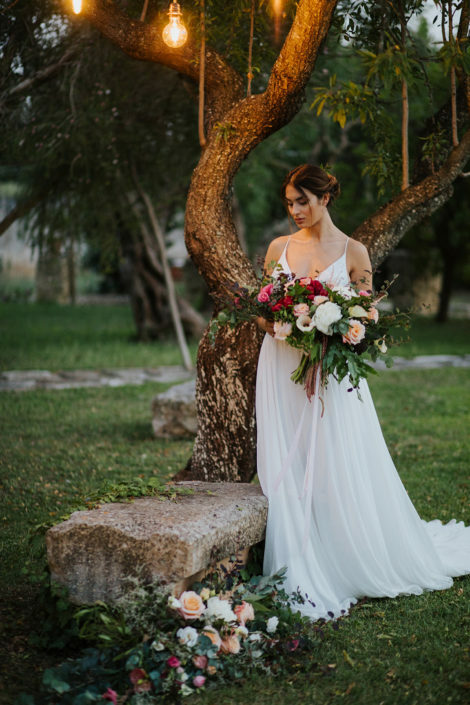 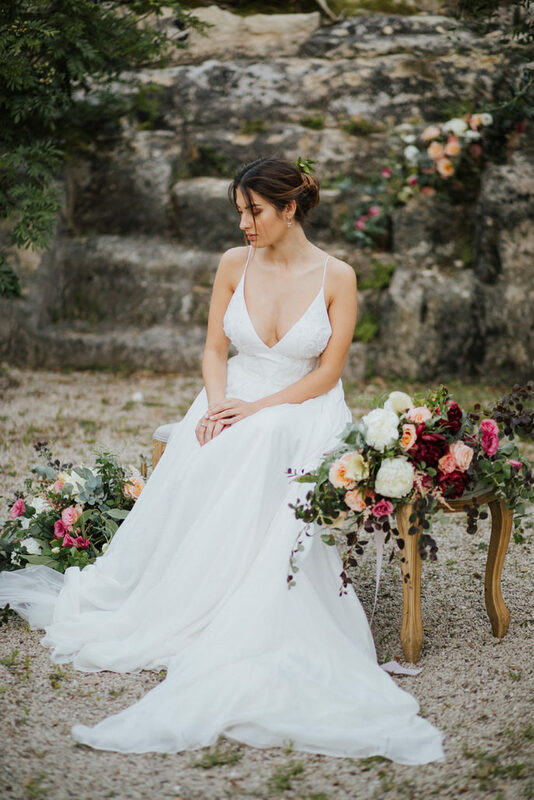 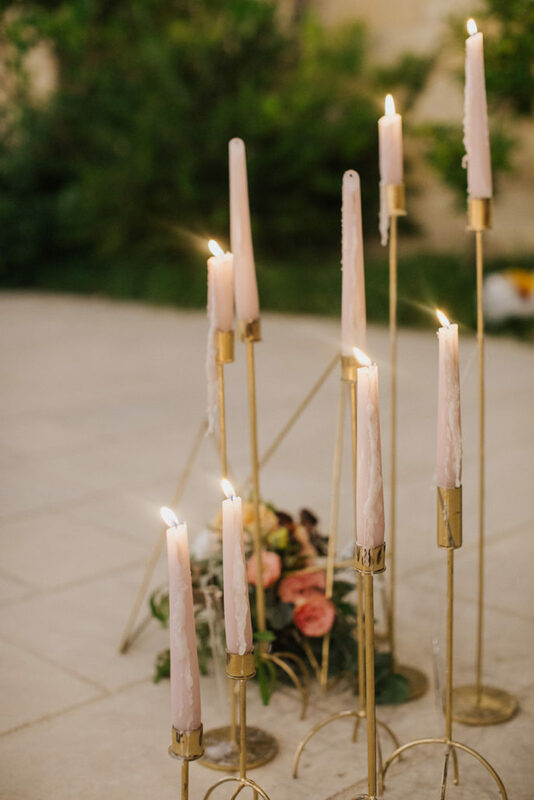 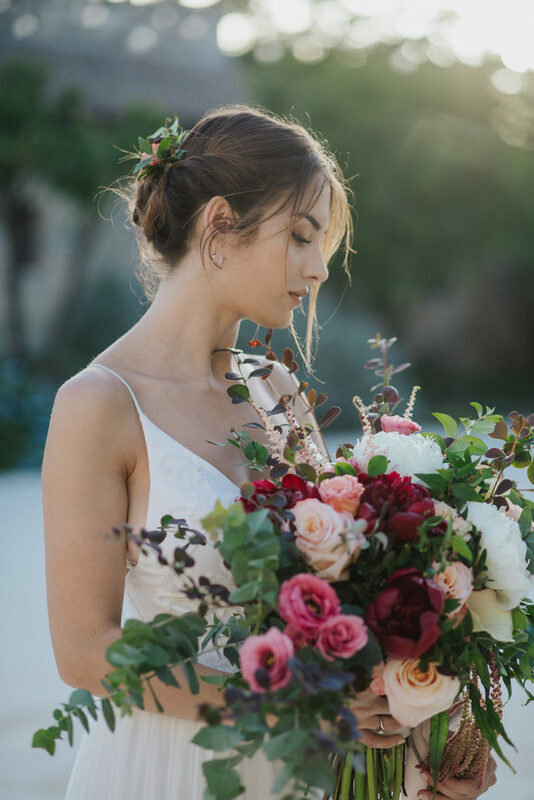 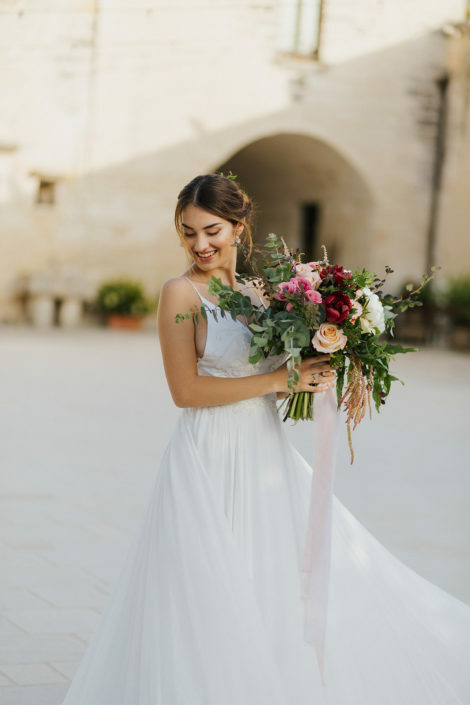 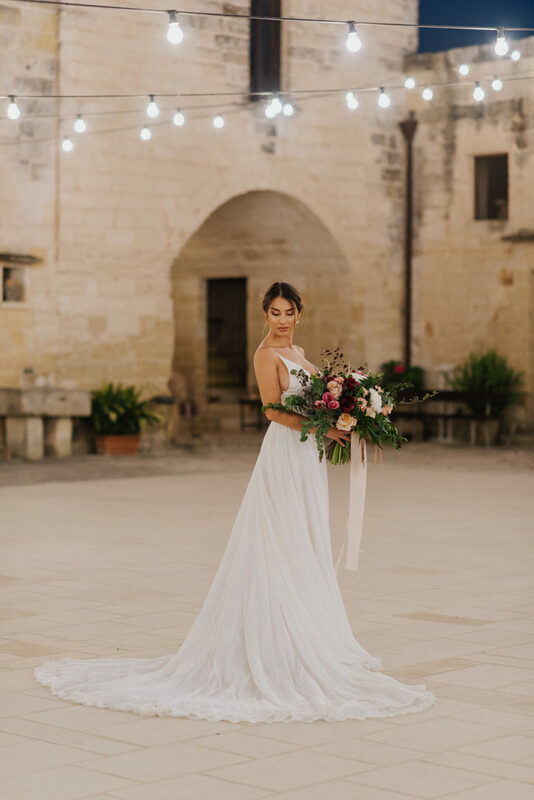 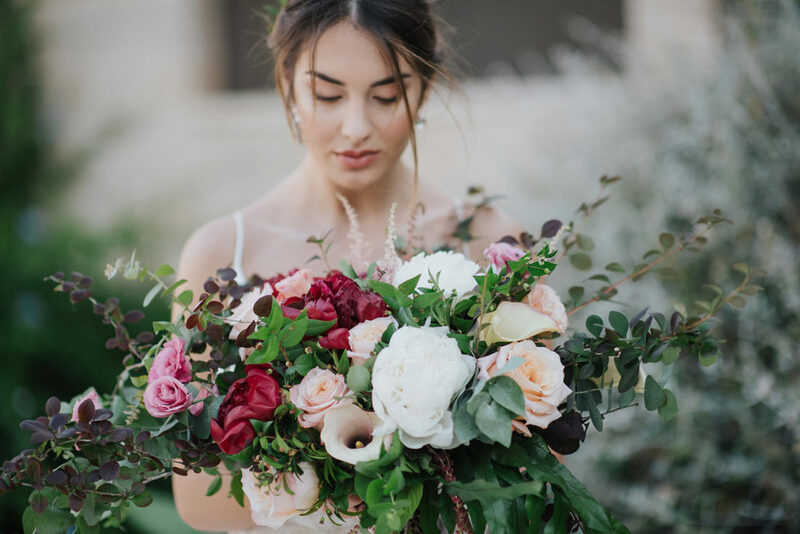 In Lecce, in Southern Italy, among the Mediterranean vegetation, stands a beautiful manor farm that is the perfect setting for this styled shoot created in July by a team of young and brilliant professionals. 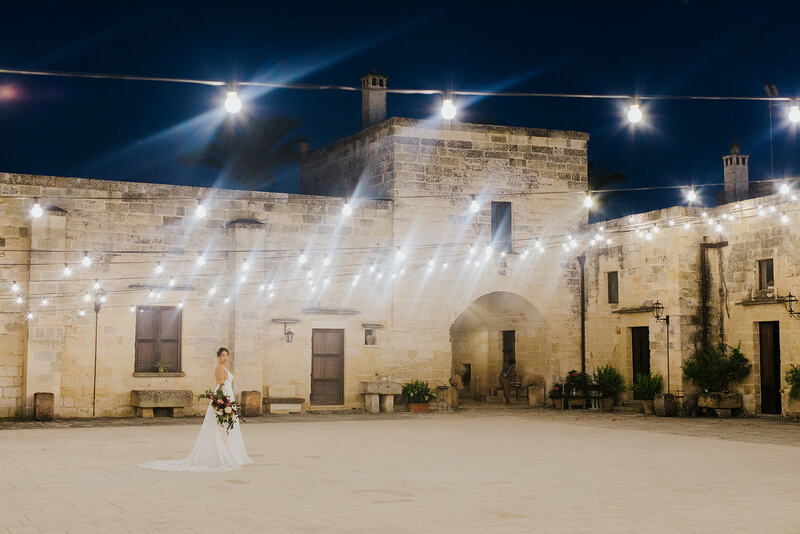 Masseria San Lorenzo dates back to the 16th century, surrounded by centuries old olive trees, fruit trees, flowers and walkways, until you get to the quarries from which the stone used for the construction of the manor was extracted. A sweet and at the same time sensual bride, wears a white dress by Idea Sposa with a soft and elegant cloth. 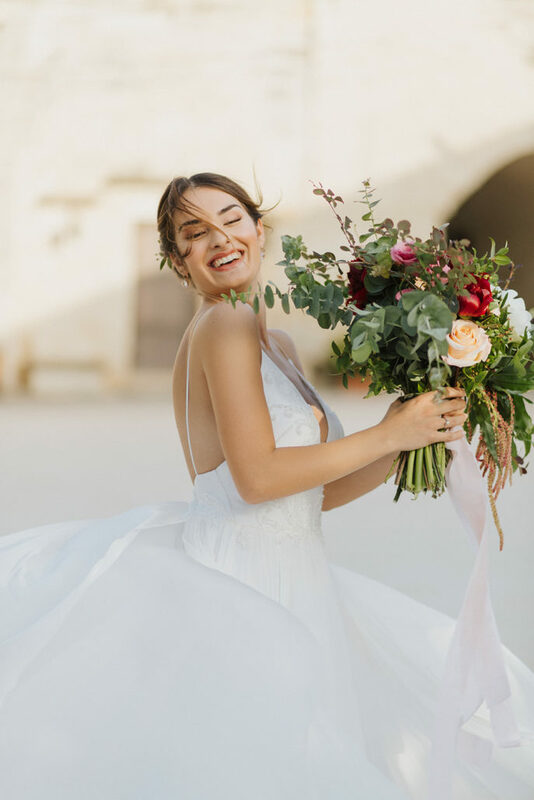 The silk skirt and the bodice decorated with delicate precious inserts, are accompanied by a romantic hairstyle and a bright and natural make-up that evokes the colors of the Earth, made by the talented makeup artist Giorgia Melillo. 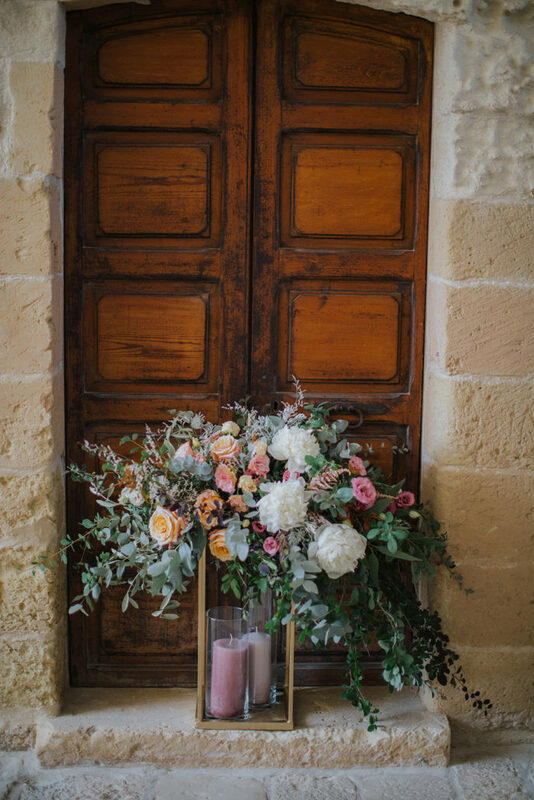 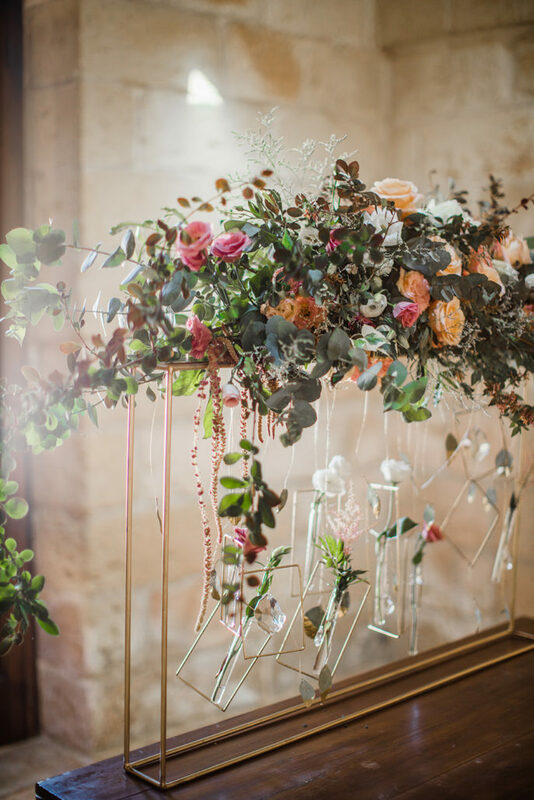 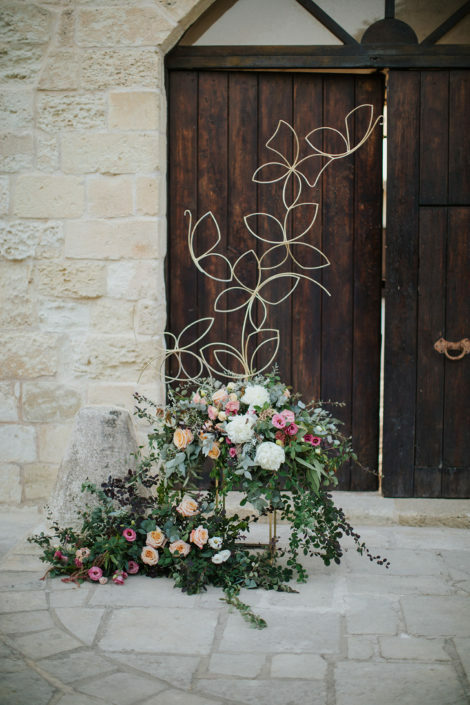 Between the warm colors of the stone and the sun of Salento, the floral decoration by Flower’s Lab Annalisa De Pascalis stands out, in shades of white, peach, green and purple. 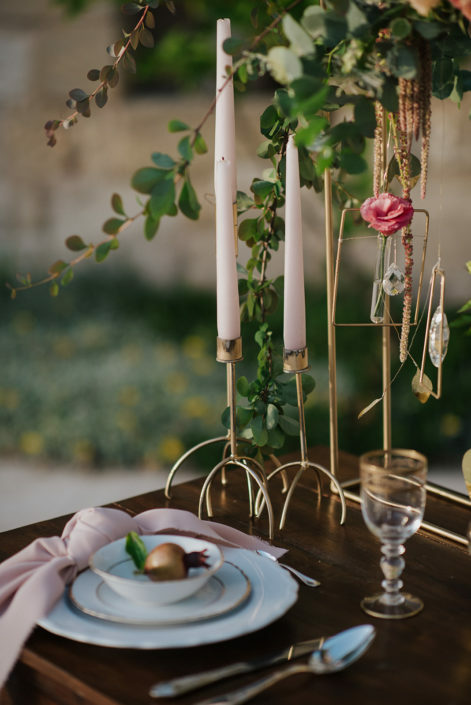 Deconstructed forms blend with the location. 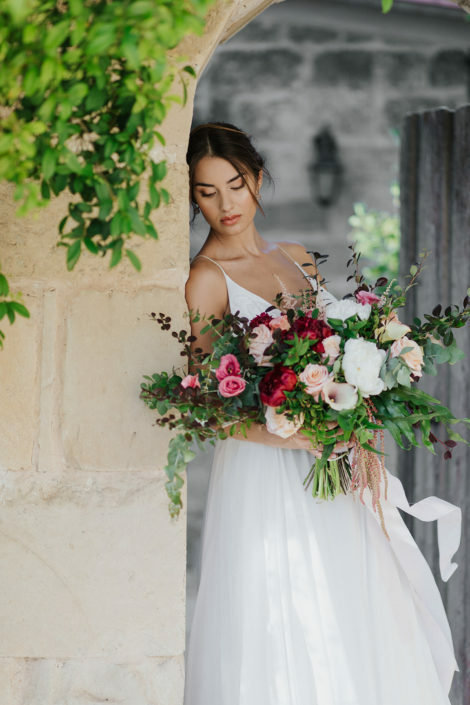 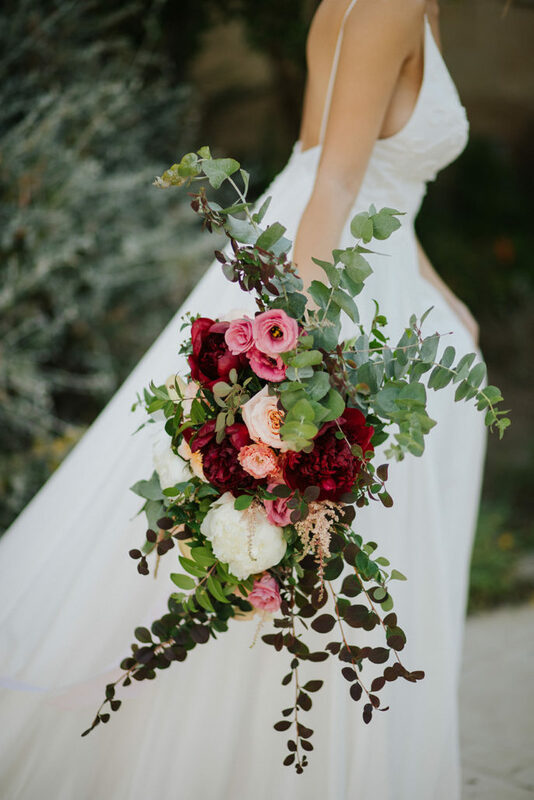 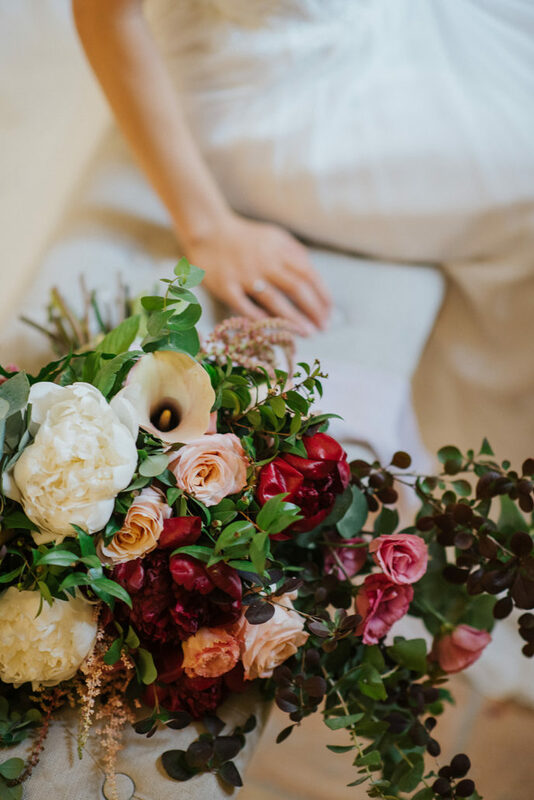 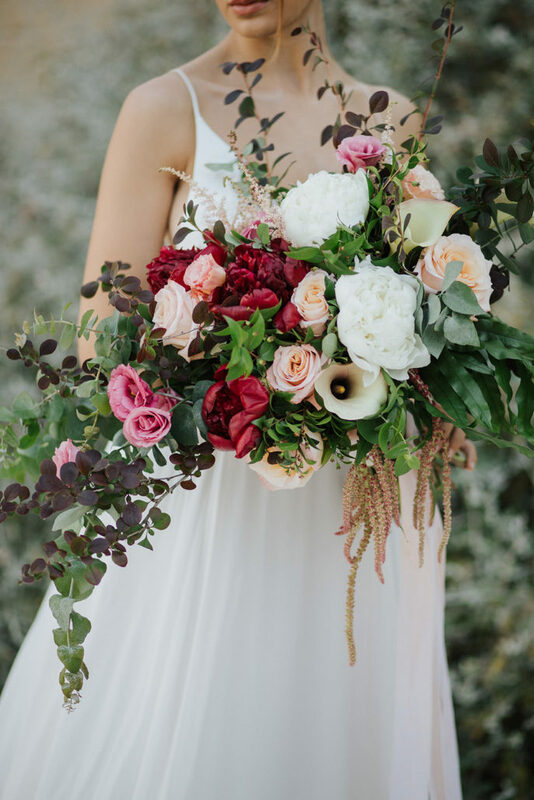 The bouquet with peonies, English roses, lisianthus, calla lilies and foliage, integrates perfectly with the bride’s look. 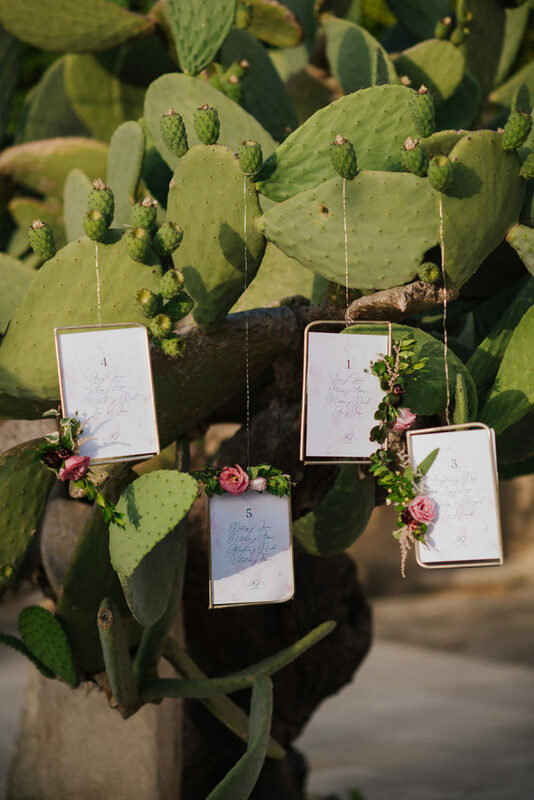 The golden iron structures created by the floral designer Flower’s Lab Annalisa De Pascalis, give an elegant and refined touch to this magical backdrop surrounded by prickly pears and pomegranates. 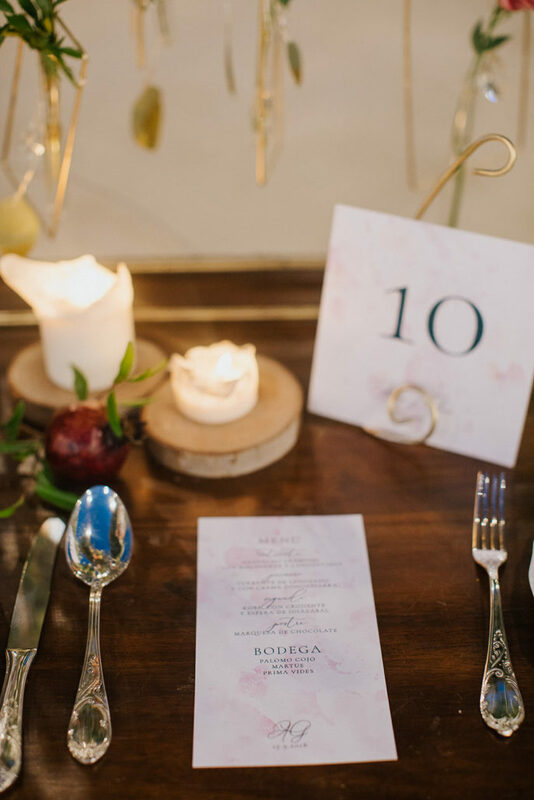 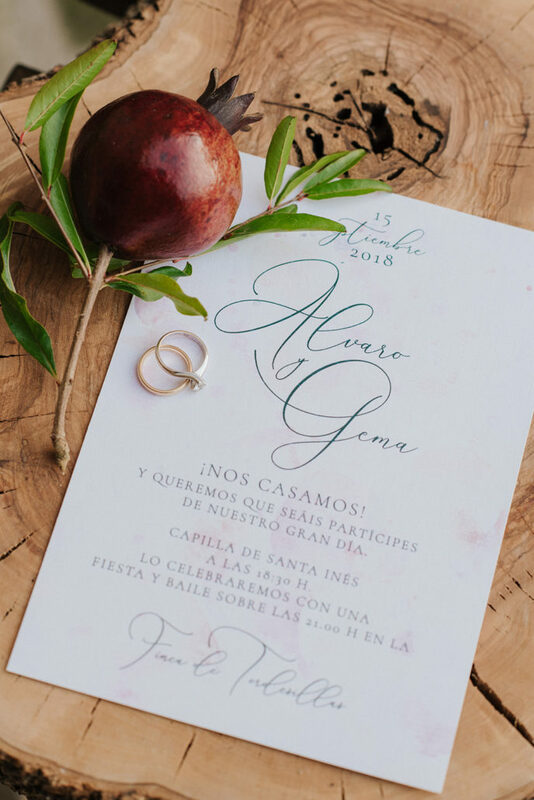 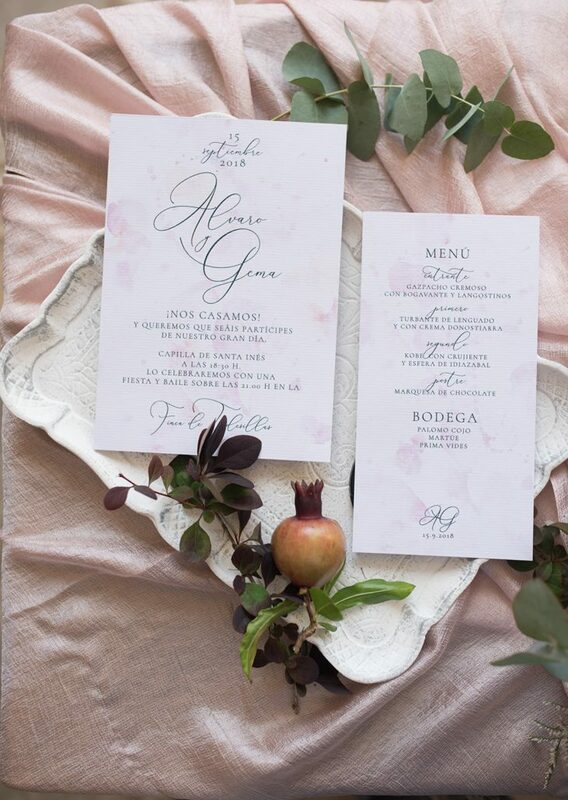 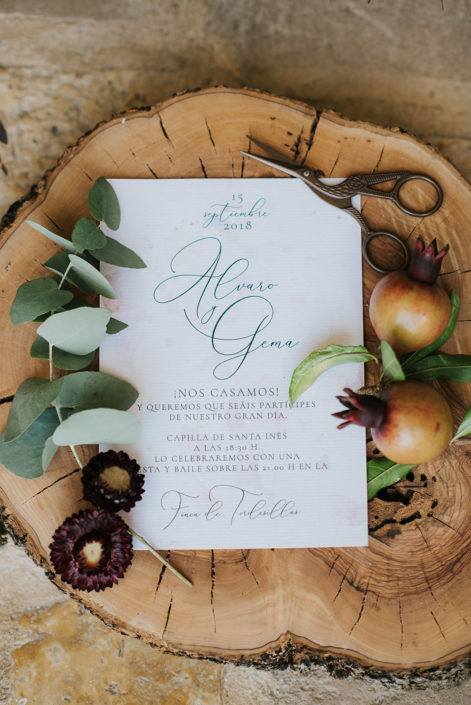 The invitations, menu, seating plan, and table numbers designed by Estudio Requetebien are delicate and elegant, with a watercolor background and elegant calligraphy. 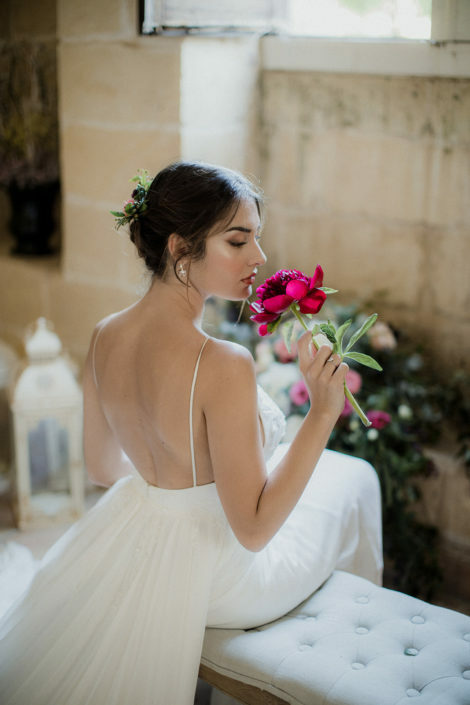 The magic of light, colors, history, sweet looks and dreamy atmosphere, are captured by the sensitivity of the photographers Yulia Longo Photography and Cinzia Miccoli Photography. 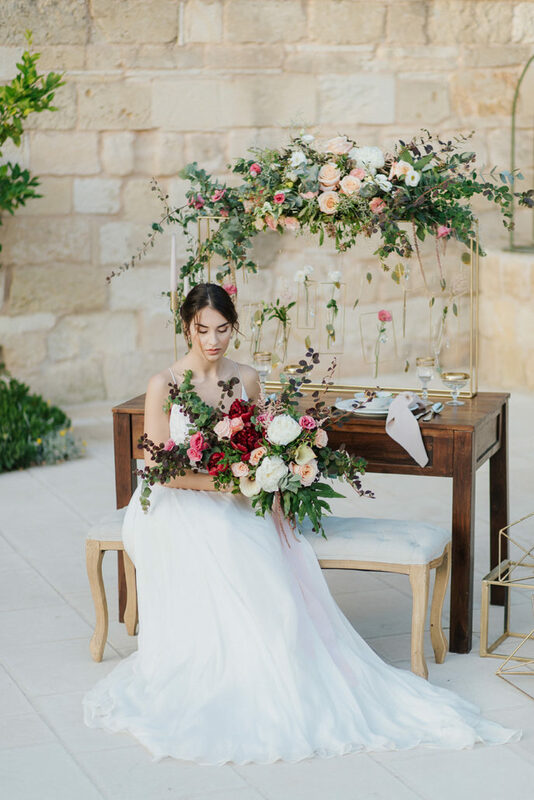 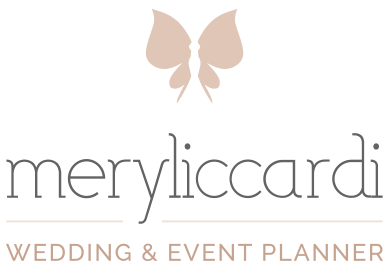 An italian styled shoot made with passion, where professionalism and beauty predominate in a land full of history, art and traditions.